Lock in a great price for Sapphire City Motor Inn – rated 8.7 by recent guests! Friendly staff, meals were excellent. Room was comfortable and clean. Great Motel will stay again. I am a frequent guest at this superior motel in this NSW country town. The managers (and their own immediate family members) and supporting Hotel Services staff members really understand good customer service. Our room was so clean and neat and the staff/owner was very friendly and accommodating. We were very happy with our stay. Very clean, great service, excellent value for money, quiet... Hot showers, clean linen and room and free tea/coffee and microwave ... and complimentary toiletries...all great for very tired and light traveler... would happily stay again and recommend... great even for car or motorcyclists.. Thank you.. Probably originally well appointed, now dated. Clean and maintained. Fantastic price and location, relaxed atmosphere and comfortable room. The staff were lovely. Reception was very friendly, towels were big and soft, room very clean. Liked the little extras of deodoriser spray in bathroom and bug spray. The beds were very comfortable & the location was great, but no mini bar. Sapphire City Motor Inn This rating is a reflection of how the property compares to the industry standard when it comes to price, facilities and services available. It's based on a self-evaluation by the property. Use this rating to help choose your stay! Featuring rooms with free Wi-Fi, flat-screen cable TV and a DVD player, Sapphire City Inverell is just 5 minutes’ drive from the famous Inverell Pioneer Village. The property offers free DVD rental and free on-site parking. 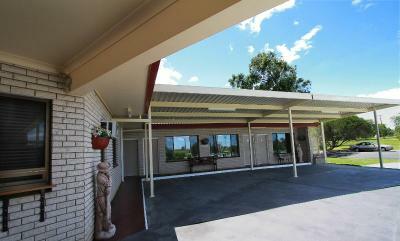 Sapphire City Motor Inn is 5 minutes’ drive from the Gem Center Inverell, and 15 minutes' drive from Inverell Airport. Armidale is a 2-hour drive away. A microwave, mini-bar and tea and coffee maker are standard in all rooms. Each air-conditioned room features a work desk and ironing facilities. When would you like to stay at Sapphire City Motor Inn? This air-conditioned room features flat-screen cable TV and a DVD player. This air-conditioned room features flat-screen cable TV, a DVD player and a seating area with a sofa. Please note the rate is based on 2 guests. Maximum occupancy is 3 guests (see Hotel Policies). Please contact the property directly prior to arrival to advise how many guests will be staying in the room. This large air-conditioned suite features 2 flat-screen TVs with cable channels, a DVD player and a microwave. Built in the late 1800s and renovated in 2010, this house features a fully equipped kitchen and a large covered BBQ area. It offers a comfortable lounge area offering a big screen TV with cable channels and a DVD player.. Please note that the rate is based on 2 guests. Maximum occupancy is 9 guests (see Hotel Policies). This holiday home has a CD player, microwave and air conditioning. This studio has a electric kettle, microwave and barbecue. House Rules Sapphire City Motor Inn takes special requests – add in the next step! Other Sapphire City Motor Inn accepts these cards and reserves the right to temporarily hold an amount prior to arrival. Sapphire City Motor Inn accepts these cards and reserves the right to temporarily hold an amount prior to arrival. Guests arriving outside reception opening hours are kindly requested to inform the hotel at least 7 days in advance. Contact details can be found on the booking confirmation. Please note that the rooms are not serviced daily. Servicing is available upon request at at additional surcharge. Guests are requested to contact the property prior to arrival to advise how many guests will be staying in the room. Contact details can be found on the booking confirmation. Small rooms. Flyscreens were filthy. Wine glasses small. No ice trays but could get some from reception. No ability to fill jug other than in the bathroom. Didn't change our towels or make bed on second days stay. Cheap. Owners and her mum were lovely. Truckies outside with motors going for hours. It would be nice to see a few more hand rails in the toilet, because one of our relatives was disabled and needed assistance. The location was central for what we needed.